Offers & Promotions at El Oceano Hotel & Restaurant, Mijas Costa. 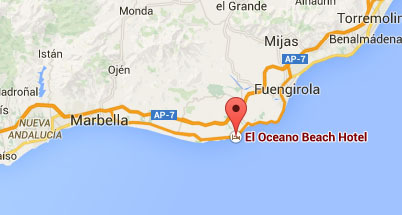 Offers & Promotions at El Oceano Hotel, Restaurant and Beauty Salon, between Marbella and La Cala de Mijas. Annual and recurring events, promotions and any ‘special’ days! Throughout the season, El Oceano Beach Hotel offers our guests many and various promotion nights and special offers. From our fabulous Set Menu Entertainment Nights right up to the amazing low-season discounts we offer, partticularly in November), there’s always a reason to visit El Oceano. Enjoy a stay in paradise at Christmas or during the end of the year months in the hotel of studio apartments for a fraction of the normal price. Mostly* regular, annual events like Royal Ascot Ladies Day, Christmas/Easter/etc. or the Full Moon Gala Dinners are always big attractions. * ‘Mostly’: These events generally happen every year, but no-one can foresee the future. Check first if it’s really important. If you have any questions or concerns, please get in touch. We really are here to help. We will respond to your question as soon as we can! Thank you!